All of the weaving materials that we supply are the very best quality currently available and always competitively priced. Every item is carefully stored optimizing freshness to ensure ease of use. Most importantly we know how to use everything in stock so can help you to choose the right material for the right application. We operate our mail order service from South East Dorset, not far from the Hampshire border. Phone 01202 874737. We don't have an online ordering system because every project is slightly different and to help more effectively it is better to discuss the material requirements. 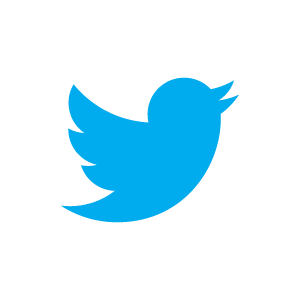 PLEASE NOTE, WE HAVE MOVED PREMISES AND OUR PHONE NUMBER HAS CHANGED TO 01202 874737. Our offices are open Monday to Friday 9.00am until 5.30pm, visits by appointment please. Hand cane from 1.6mm to 6.0mm wide, round centre cane/reed, flat splint and pre-woven loom or slab cane panelling. Please click on the image to see more details. Pre-twisted real rush in two diameters and hardwearing modern paper fibre cords in two colours, also Cordon straw wrapped sedge. 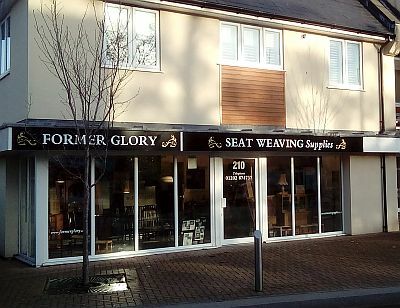 Something for beginners as well as the more experienced chair seat weaver. Please click on the image to see more details. 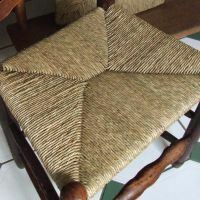 Traditional seagrass, Danish seat paper cord and "Lloyd Loom" type woven furniture materials. Please click on the image to see more details. Complete DIY kits and DVDs to help you to restore your chair seats. 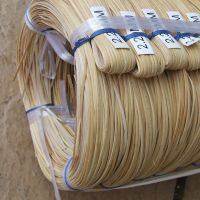 Cane, rush, seagrass and wrapping cane for conservatory furniture. Please click on the image to see more details.